Alexandra Sheppard was born and raised in California. Growing up around sports and dance, Alexandra was always active, but it wasn't until she started experimenting with different forms of exercise that her flame was ignited. 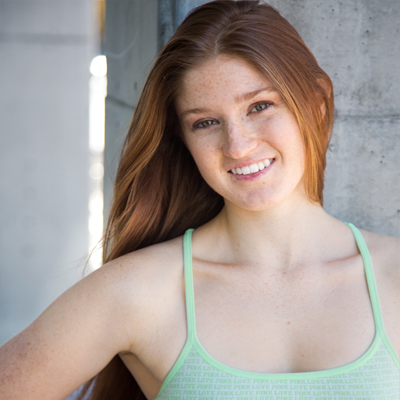 Alexandra fell in love with dance at the late age of 18 and found that exercising outside of the dance studio was crucial to her technique and dancing training. In California she earned her Bachelor of Fine Arts in Dance along with her 200 Hour Yoga and Mat Pilates Certification. She also is a CrossFit Level One Trainer. As a result of her experience training in dance, Pilates, CrossFit and Yoga, she has a keen awareness of the body, a great understanding of movement, and a solid foundation on technique to ensure that her students are always safe. Alexandra loves pulling from all of her training in her classes. She prides herself on never teaching the same class twice and catering to the people that are in her class. She is passionate in helping others to find the love of fitness that she has found. She always makes classes fun and exciting. Come see for yourself! Alexandra teaches a fun, energetic and core blasting Mat Pilates class that will keep you engaged while having fun. She uses all of her training to influence (dance, yoga, pilates and CrossFit) her classes. Guaranteed to improve your core strength that will follow into your dance training or any training outside of her class. Come and join the fun!